Neftec’s latest C/C Composite material PC40. Neftec is happy to announce it’s latest C/C material, PC40. Sitting in between our existing C/C Composite, PC70 and PC30. PC40 is designed for high-temp applications up to 2500c. Pc40 is a cut fibre composite that has exceptional density, high ILS and quality. 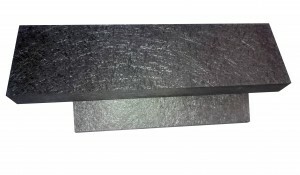 The sizes available for PC40 are either 1000 x 1500mm or 1000 x 2000mm and thicknesses from 3mm to 30mm.